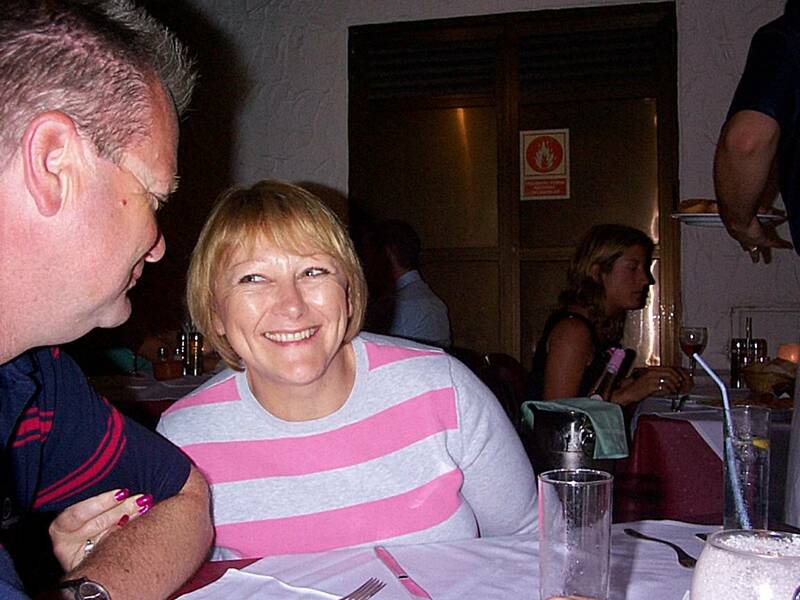 My wife, Sue, and I sold up in the UK before retiring in the Canary Islands in 2013. We chose to live in the north of Fuerteventura. We started coming for holidays in Fuerteventura in the mid-1990s. This was largely because I had been once a few years before and knew the winter weather was lovely. We used to come most years for a week to escape the awful UK winter weather, apart from taking the occasional cruise. The next year we would look at holiday brochures to choose somewhere different to go but usually ended up agreeing to come back here as we knew we would enjoy it. For a number of years we stayed in various places in Corralejo and usually had the odd day trip over to El Cotillo. In 2007 we had our first holiday actually staying in El Cotillo – in a one-bedroom apartment right on the beach. We really enjoyed the chilled atmosphere of El Cotillo. After living together for 17 years, we finally got married in 2008. We came to Fuerteventura, of course, and stayed in El Cotillo for three weeks on honeymoon, never dreaming that one day we would become expats in Spain. We stayed in a lovely apartment in El Cotillo, overlooking the lagoons and the beaches. During that stay, we fell in love with El Cotillo, making many friends that are still friends today. Two days from the end of our honeymoon we went for a walk and happened to look in an estate agent’s window. That was it, the idea came into our heads that we wanted an apartment there ourselves. By the following day we had chosen one and made all the arrangements to buy it. Well we like to take our time and think things through thoroughly before we commit ourselves! We began spending more and more time here. We both ran our own businesses. 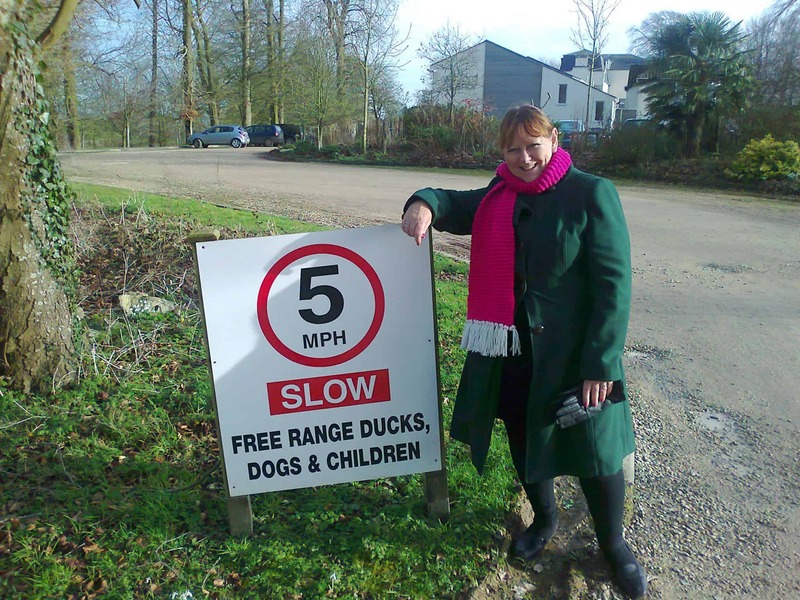 Sue was able to not take any training bookings for a couple of months over winter and, as I had staff in my office, and I worked from home most of the time anyway, I was able to work anywhere provided I had my laptop and an internet connection. We therefore started spending from just before Christmas to the end of February in the sun, and even longer some times. Plus we got away to our apartment whenever we could at other times of the year. I think at that point we both knew that retiring in the Canary Islands was what we wanted to do eventually, and to live in Fuerteventura in particular. Sue was actually ready to do it a year or so before me. What finally did it for me was returning to the UK at the end of February 2012. The weather was amazing for February and I actually spent 3 or 4 days in the garden sorting it out. It then rained for over two months and that was it. I said “Let’s sell up and go!” – decision made, the countdown to retiring in the Canary Islands had started. That was in May 2012 so by the time we got the house ready to sell, accepted an offer and then completed the sale it was the beginning of February 2013. After getting some quotes, we decided to take much of our furniture with us, as well as personal items. The cost was less than expected and certainly cheaper than buying new once here. This ended up being 133 separate boxes and items. We used a company based in Fuerteventura, run by an English couple, to organise all of the transport. Annette at Woodside Cargo SL couldn’t have been more helpful. We had lived in that house in Northamptonshire for 11 years, so we spent weeks clearing out all the rubbish we had accumulated over the years. Where does it all come from? I made 23 full car load trips to the local recycling centre. We also sold things we didn’t need on Ebay and gave some things to charity shops. Fortunately, when we moved in, I made the decision to only put suitcases and Christmas decorations in the loft. That was because when we moved out of our previous house everything that came out of the loft, apart from those two items, went straight to the tip. It all took much longer than expected, even though we started weeks before we were due to leave. Every box and item of furniture had to be numbered. Then it had to be entered on a manifest, together with a description of the contents and the dimensions. We began to run out of time. By midnight, the day before everything was being collected, we had hardly started packing up the garage contents. Sue helped until 1am then went to bed and I ended up in there all night to get everything done. It was pretty chilly in there I must admit. A large removal lorry arrived at 7am, with two strong guys, who started loading up just as it started snowing. The UK weather was having its last laugh! Eventually everything was loaded and off it went to to be packed into a shipping container. We cleaned through the house and dropped the keys off at the estate agents. Then we were off to a hotel near Bristol airport for two nights before our flight. As we had sold our cars I had hired one locally but with a drop-off at Bristol airport. So we arrived in Fuerteventura late afternoon and went straight to our apartment. We immediately felt like we were at home. Admittedly, having the apartment already made retiring to the Canary Islands easier. We settled into life in Fuerteventura quite easily over the next few weeks. Having said that it did feel for a while like we were on holiday rather than living here permanently. 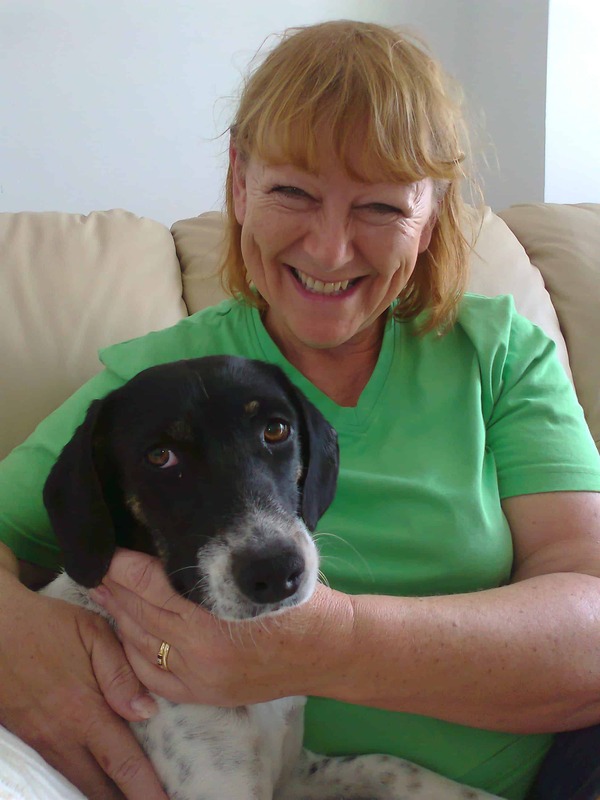 Sue started volunteering at the dog pound in La Oliva once a week to help make the life of the poor dogs there a bit more enjoyable. On the third week she told me that a lovely little black and we dog had been found as a stray so was in the shelter. The next week he was still there and again the following week. That meant his 3 weeks were coming to an end so he would be put down. So, on his last day, ironically April 1st, we went and adopted him. Sue called him Oscar. We always knew that we would adopt a dog once we were settled but the plan was to wait until we had bought a house. Having a dog in an apartment is not ideal. Every time he needed to go for a pee it meant I had to take him for a walk. That was 6 or 7 times a day. He also woke up and wanted to go out when it started to get light. I am definitely NOT a morning person but I saw more sunrises during that period than I have ever seen, or wanted to see, in my life. We started house hunting, fuelled by the need to get a garden for Oscar. We would have liked to live in El Cotillo but there are no houses with gardens, only apartments and village street houses. With hindsight, we could have made quite a lot of money out of buying bank repossessed property. There was a new development of 3-bed semi-detached town houses in Corralejo which were selling for just 75,000€ by the bank. We could have bought three – living in one and renting the other two out. They are now selling for 225,000€ each! Our preferred location was Lajares and eventually we found a new detached villa we liked in a small development. We agreed a price and started the process of buying. The owners then informed us that they had decided to keep the one we wanted but we could have another one right by the road for the same price. This wasn’t worth as much as the one we wanted as it was overlooked, which the other wasn’t. Then, when we were trying to decide what to do, I found out from another source that the sellers were trying to sell that villa to someone else for more. I told the sellers that they were crooks, and where to stick their villa, and we started looking again. We couldn’t find anything else that we liked, or could afford, in Lajares so we looked elsewhere. 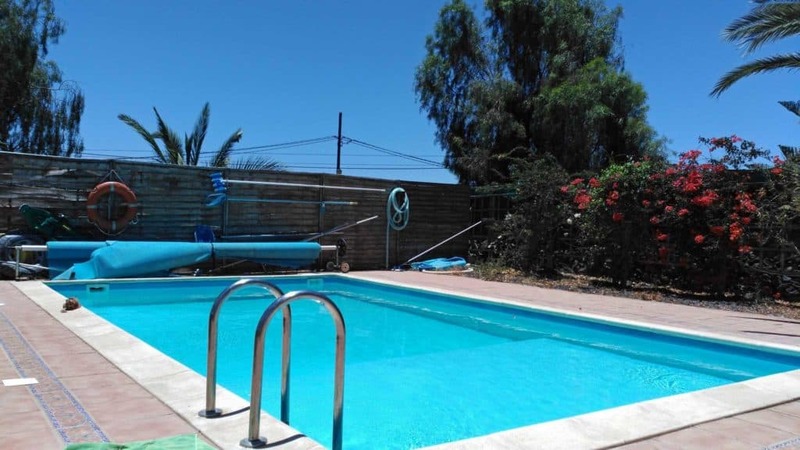 We found our current house in La Oliva, put in an offer and moved in in September 2013. It needed plenty of upgrading as it hadn’t been particularly well looked after but it had a good swimming pool and a large garden with trees. We have done quite a bit of house remodelling since. This has included knocking down a wall to make the kitchen bigger, a new kitchen, both bathrooms remodelled and lots more. You can see some of what we have done in this post – our house remodel. If you are thinking of retiring in the Canary Islands as we have done feel free to ask any questions. I will try to help if I can. Hi Liz, A friend of ours in the UK has recently adopted a Podenco and is doing well in agility with her. I bought fishing gear here three years ago but so far have never used it. Thanks for your comment. Hello, we are fairly certain we will be retiring early (mid 50s) to Furtaventura in 2018. We have spent a month at a time there for several years and will be coming for 3 months before we sell up and move. Currently looking at costs. For example purchasing costs involved, tax as residents and selling costs and capital gains cost should we decide to return at some point in our later years. I would be grateful if you could offer any advice on any of the above. Really enjoying your youtube channel. We only found it last week and subscribed (mdad hdad), and look forward to future videos in 2017. Happy New Year to you both. Hi John. I have seen Karen’s name crop up a few times in my Facebook page. I will send you an email shortly. Came to your youtube channel as i travel jan19 first time to Canares. And yep i also think of – why not live on an island where its warmer and less rain and grey skies. But lets stay realistic – depends on money, continuous cash flow as there will be no work for me. Sure with laptop i can also work “anywhere”, depends on business you run, if its sustainable plan or not. At the moment, my “realistic” way to go is – working in germany, and one month go on trips to places i have never been, as that makes me happy, i live all the time in “here and now”, walk on streets i have never walked before. Exciting, and some kind of “change to the normal allday busy life”. And later – lets see, if i find realistic ways, to stay there, buy a house, for me even a tiny house would be OK, i dont like big houses and dont need them.